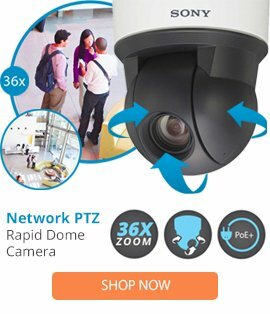 The SHP-3700H Extreme Weatherproof Outdoor Housing allows you to install PTZ Dome Cameras in locations with extreme temperatures ranging from -58 to 122°F (-50 to 50°C). Being IP66-rated, this housing also provides protection to the camera against dust and rain. The outdoor rugged housing is designed for applications where robust surveillance is required. Its upper body is constructed of aluminium and polycarbonate, making it tough enough to withstand harsh weather conditions. The bubble is made of polycarbonate, which protects the camera from vandalism and theft.